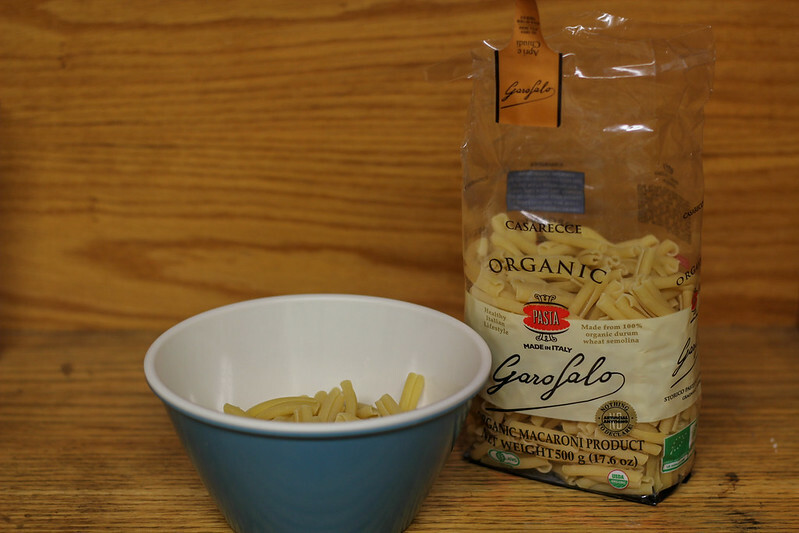 Determining how much pasta to use can often be a tricky guessing game. The key to avoid using too much or too little is simple: measure the amount of dry pasta you want right in the bowl you’ll be eating it in. Since pasta expands slightly when cooked, underestimate just a bit. This trick makes sure that portions are always the right size. This next tip will ensure that pasta is cooked al dente, so it has a little bit of bite and won’t end up mushy or soggy. 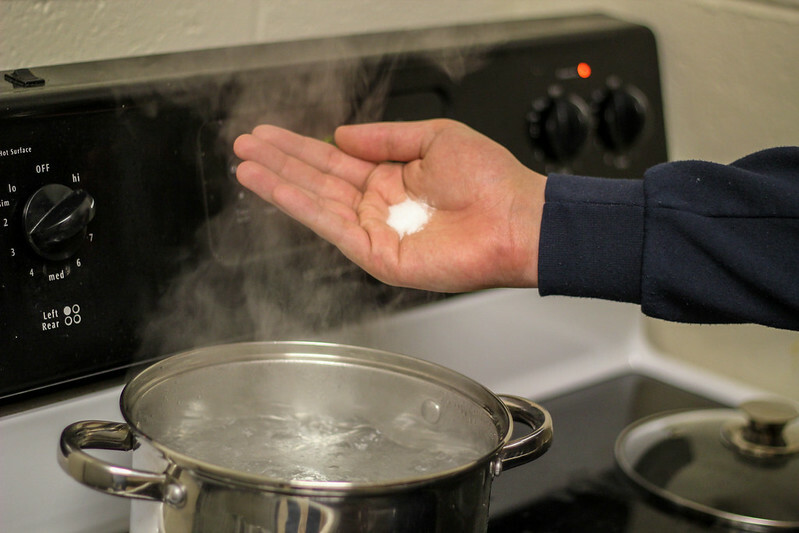 As your pot of water begins to boil, add a generous amount of salt to the boiling water (here we used about a tablespoon), and then add your pasta when the water reaches full boil again. 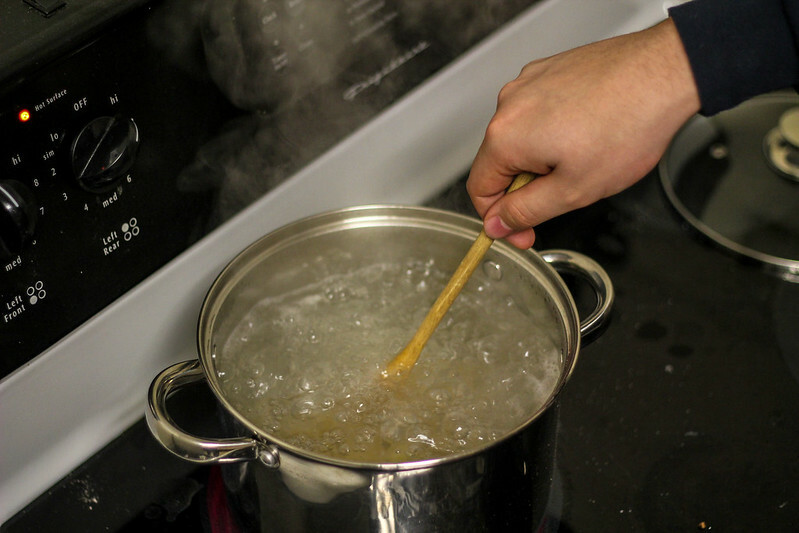 The added salt slightly raises the boiling temperature of the water, so your pasta will cook faster at a higher heat. When you set your timer for how long to cook your pasta, use the time on the box’s directions, minus one minute. 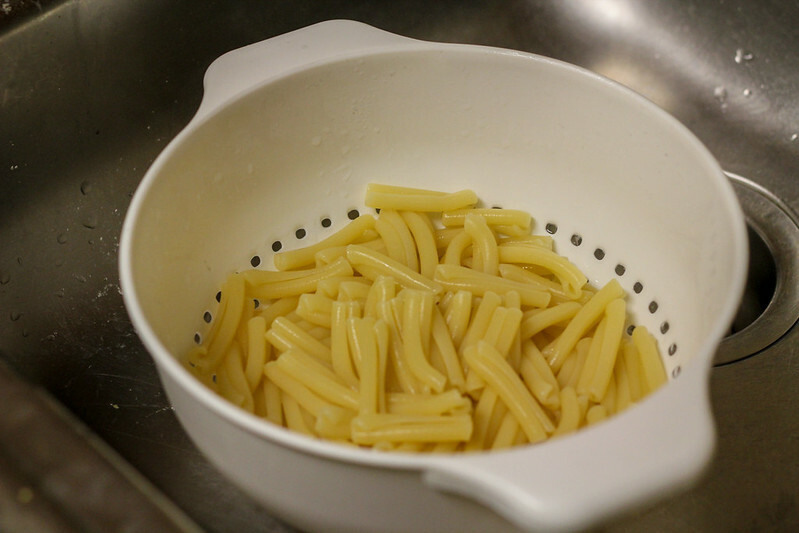 Once you add your pasta to the boiling water, stir it for the first two to three minutes. 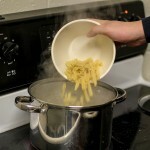 During the first few minutes, the pasta will begin releasing glutens, and it is during this time that the pasta will start sticking to the pot or forming lumps. Stirring will prevent the pasta from doing this. After the first two or three minutes, you can reduce stirring to a few stirs about each minute. 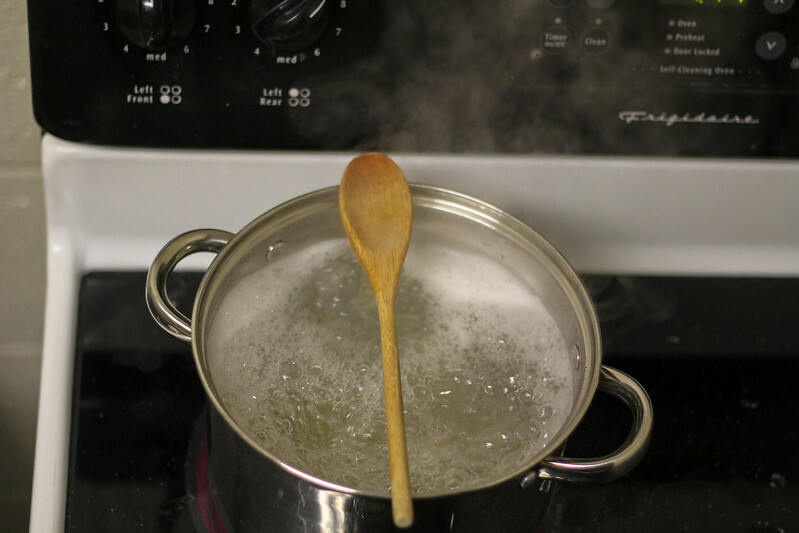 Placing a wooden spoon across the pot of water will prevent the water from boiling over the pot and onto the stove top. Plus, you always know where your spoon is for when you need to give your pasta a stir. When your pasta is done, drain it and add it directly to your sauce and mix the two together. The glutens released during cooking that remain on the surface of your pasta will bind your sauce directly to the pasta, ensuring the perfect sauce coating. For this reason, don’t rinse your pasta unless you plan to store it immediately. If you’re cooking pasta for storage, a quick rinse with cold water will prevent your pasta from sticking together in the fridge. The post 5 Tips & Tricks for Perfect Pasta originally appeared on Spoon University. Please visit Spoon University to see more posts like this one.